LAHORE: A district and sessions court on Wednesday sentenced a Czech model to eight years and eight months in prison for attempting to smuggle contraband from Lahore to Abu Dhabi last year. 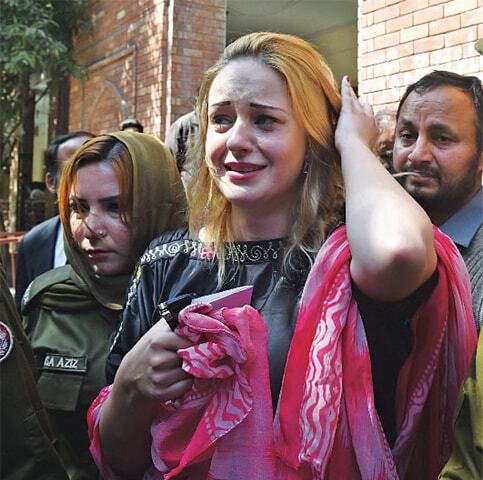 Tereza Hluskova burst into tears after Additional District and Sessions Judge Shahzad Raza announced the verdict. The judge also imposed a fine of Rs113,000 on the model. The judge acquitted a co-suspect, Shoaib, for lack evidence. Three other co-suspects in the case had been declared proclaimed offenders during the trial. A woman official of the Czech embassy was also present in the courtroom. As per the prosecution, the 21-year-old Czech model was trying to smuggle 8.5 kilogrammes of heroin from Lahore to Abu Dhabi on Jan 10, 2018 but intercepted by Customs officials. The prosecution presented nine witnesses against the suspects. The counsel for the model told media that the sentence will be challenged before the Lahore High Court. 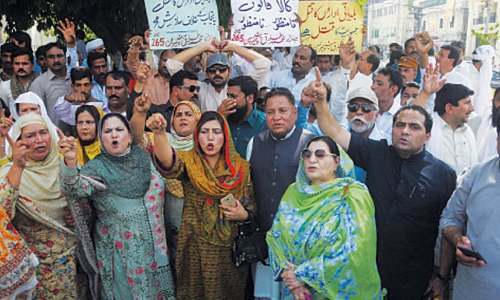 How do you pay for a programme like PTI's Ehsas? Just raising more revenue won't turn Pakistan into a welfare state. Greater reliance on technocrats in a parliamentary form of government weakens the political process. Entire movements in India have been constructed on the policy of Muslim exclusion. Recently the government has devoted significant attention to the issue of Pakistani migrant workers in prison abroad. Why Sri Lanka was targeted is unclear. The PM hangs on to his time-honoured habit of making decisions abruptly with little thought for the consequences.